This article is part of our special report Future of European Healthcare. SPECIAL REPORT / Austerity is leading to an increase in mental illness and suicide rate in crisis-hit countries but also offers Europe the chance to embrace radical health innovations, experts at the Gastein forum heard. “Europe's politicians have to realise that stringent austerity policies are harming their economies as well as the health of their populations,” Professor Martin McKee of the London School of Hygiene and Tropical Medicine told the forum on 4 October. There is growing evidence of the direct negative effects the crisis and austerity policies are having on people's health and healthcare systems, said McKee, who is finalising research on the impact of the economic crisis for publication later this year. The Greek Ministry of Health reported an increase of 40% in suicides during the first half of last year, compared to the same period in 2010, McKee said. A recent study demonstrated an increase of 1% in unemployment is accompanied by an increase in suicides of 0.79%, and when the unemployment rate rises by more than 3%, the suicide rate goes up by 4.45%, he said. Mental health has also deteriorated as a result of austerity measures, according to McKee who is also the research director of the European Observatory on Health Systems and Policies. “In Spain, there has been a marked increase in attendances at general practitioners by those with mental disorders, especially depression,” he said. “In some cases the scarcity of drugs or equipment available will inevitably lead to rationing,” Edwin Borman, the secretary-general of the European Union of Medical Specialists, told the forum. 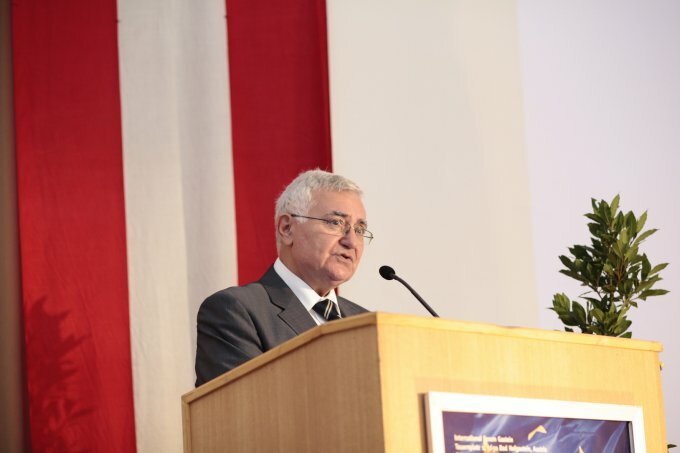 Health Commissioner John Dalli acknowledged that austerity measures are leading to “difficult conditions”, telling a news conference the European Commission’s health department was doing all it could to emphasise the need for sustainable health budgets to be preserved in the crisis. He singled out eHealth as a driver for innovation in the health sector that could be boosted as a result of the crisis. Speaking after the forum, Robert Madelin, who heads the EU executive’s health directorate, said that the Commission would publish its eHealth strategy for the next five years within the next fortnight. Madelin said that the initiative could pave the way for more record sharing across the continent, and lay the foundations for the type of data management required to enable the personalised medicines sector to flourish. Meanwhile, Professor Helmut Brand, the new president of the Gastein forum, told a press conference that the economic crisis should also be used to increase the level of pan-European engagement with health issues. He called for the further development of the EU health mandate established in the Maastricht Treaty. “The subject of health is given much too little attention in the discussion of the financial and economic crisis,” said Brand. EU Health Commissioner John Dalli has warned about neglecting public health in times of austerity, saying the economic crisis should not turn into a health crisis. The Gastein Health Forum meeting in Austria, Europe's largest gathering of health policymakers, is discussing a number of issues affecting the future of the sector, in the context of the financial crisis. Vaccines Today: Can mobile phone messages boost vaccination? Of course the pressure of lack of money and the problems not having work is going to lead to mental health issues. There must be a way to promote a better understanding on these problems. It must be of a high importance that we look for ways to improve the economy, and to help with those who are suffering as a top priority. I have deep sympathy for those in the situation, and we should be looking into ways for regeneration, if this could help.